Description: Letting the hat choose its owner might have been a good idea. If hats could talk. Or move. Description: There are many logical things in Neopia. The Species specific concept is not one of them. 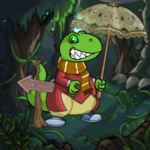 What do you value in a Neopet? Name? Colour? Stats? Species? But what is true value?